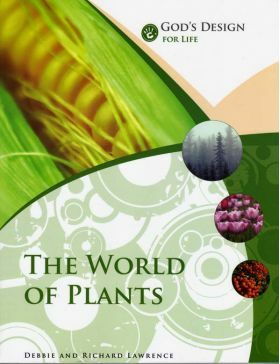 World of Plants - Reveal to your child how God specially designed the plants around us. See God’s hand as you study seeds, leaves and flowers. This book will help you and your child explore meat-eating plants, fungi, algae, and more. Your family will truly appreciate the intricacy of the world of plants when you complete these lessons. Use this student textbook with the World of Plants Teacher's Supplement for teacher instructions, answer keys, and a resource CD-ROM.